Despatches from the Querying Trenches - August. Guest Post by Kirsten Hesketh. 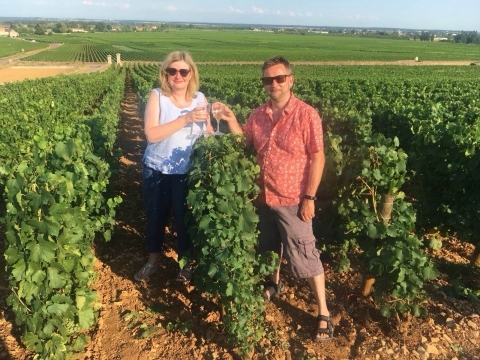 It's been a little while since we last heard from Kirsten, as she was busy holidaying at the end of last month; so here is her end-of-summer round-up of her writer's life. And what a brilliant one it was. This year we’ve had an extra long break because both teens broke up early. It feels like a new start for me too. My edits are complete and over the next few days, my lovely agent Felicity will be sending Another Us out to publishers. How exciting does that sound?! Of course, the process will most likely take months and months and there is every chance that the book won’t be picked up at all … but for now I am feeling excited and optimistic and the dream lives on. I must say it’s fantastic having an agent – the feeling of having someone totally on your side as an advocate, enabler, co-conspirator (and occasionally therapist!) is just wonderful. Much less lonely. In the meantime, I have work to do! Firstly, I have to set up a website. For some reason I feel totally daunted by this, even though the lovely Julie Stock has been brilliant at helping me with the technical stuff. I just don’t know how to arrange it all and what to put! But I determined to feel the fear and do it anyway and September will be the months I get it up and running. You can all hold me to that!! It's so lovely to hear from you, Jan and thank you for your lovely comment. France is wonderful for a family holiday isn't it? We came back vowing to go more often. Thanks for your good wishes for Another Us and the best of luck with your SFD in your editing cage. It was so good to read about your summer, Kirsten. Your holiday in France sounded brilliant and brought back memories of all our family holidays spent there when the children were still at home. Good luck with 'Another Us'. I'm sure your agent will find a very good home for it. Your comment about it being less lonely with a wonderful agent behind you rang home. I'm in the editing cage, trying to make sense of a SFD and get it ready to submit to publishers on my own, feeling I may never come out! Ok I give up. What's an SFD? Superbly finished document? Summer fantasy delight? Simply fabulous darling? Am I getting close??? Fingers crossed that Another Us lands on receptive desks and good luck with tidying up book two, I’m sure that you will do it very, very, very well. Ha ha! That isn't how she explained it to me, Vanessa! Thanks for your comment, Wendy - and many congratulations on your publishing deal. Have a wonderful holiday in Greece. I hope it recharges your batteries ready for lots more writing. Sounds like a wonderful summer, Kirsten! We had a pretty manic one, with lots of travelling but quite a bit of it in the UK, and thankfully no exam results to bite our nails over! We're currently having our first proper break in months, chilling out on Lake Como. I have no idea what an SFD is, but would love to know. I've so enjoyed your blog posts, Kirsten. I wish you loads of success with Another Us as it reaches publishers. It's clear you have an amazing agent who is fully behind you and the story, and I'm sure it will find the best possible home very soon. I love this time of year as Autumn approaches. I'm busy finishing off one novel and my head is already eager to start on the next, so here's to some happy writing time for us all. Oh, and good luck with the website! Mine needs a lot of work to make it what I want it to be, and I just keep moving it down the 'to do' list! 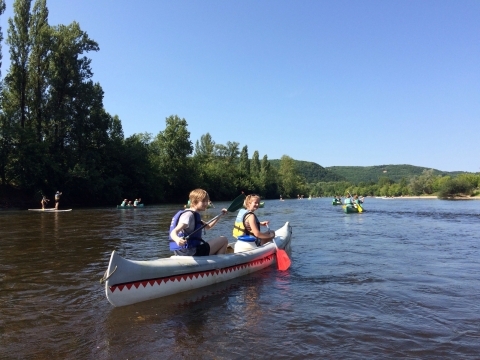 I’ve canoed on the Dordogne. It was lovely and none of us fell in! Good luck with Book two - I am trying to write my book two (which in reality it book three!) as well. It’s alongside line edits for book one. Not easy. I’m having week in Greece then, like you, will get stuck in again. Looking forward to reading your next post. Thanks for your comments, Tara and Maddie. After we've all followed Kirsten through the process of writing, editing, re-writing, submitting..., it is so exciting to know that Another Us is shortly going to be sent out to publishers. By the way, do you know what an SFD is? I had to ask Kirsten, but now it will be a regular part of my vocabulary. You go girl! So thrilled at what you have achieved this year and great to hear Book One Another Us is out there trying it's wings. I just know it's going to find a great home with a lucky publisher. And I can't wait to see your cover reveal!